 This legal text gives you details of how we collect and process your personal information through the use of our website www.richvaleresorts.com, including any information you can provide through the site when n or s provides their contact details through the form prepared for that purpose. When you provide us with the information, we inform you that our services are not possible for those people whose regulations prevent them from giving their consent, so when you send us the forms you guarantee that you have sufficient capacity to grant consent. MB BENALMADENA, SLU , is responsible for your data. (Hereinafter us or ours). 2.- What data do we collect? If prompted collect personal information by law or under the terms of contracts between us and refuses t e s to provide them , you may not be able to perform the contract or provide the service, I must inform us in advance. 3.- How do we collect your personal data? To ensure the quality of our website, we reserve the right to refuse any registration request or to suspend or cancel a previously accepted registration if we understand that it does not meet these requirements or any other law or regulation. If this happens, we will try to explain the reasons for our decision, but we can not commit to doing so in all cases . 4.- Purpose and legitimacy for the use of your data. - For the formalization of a contract between MB BENALMADENA, SLU and you. - When necessary for our legitimate interest or that of a third party. The User may revoke the consent given at any time by sending an email to gdpr@richvaleresorts.com or by consulting the exercise section of rights below. Purpose : We will only use your data for the purposes for which we collect it, unless we reasonably believe that we must use it for another reason, notifying you in advance so that you are informed of the legal reason for processing it and provided the purpose is compatible with the purpose original. Term of conservation : They will be conserved during the necessary time to fulfill the purpose for which they were collected and to determine the possible responsibilities that could derive from said purpose and the treatment of the data. The provisions of the different regulations regarding the conservation period shall be applicable, as far as applicable to the present treatment. Subscriber data by e-mail or form : From the moment the user subscribes until he unsubscribes. Access to your personal data: you can ask MB BENALMADENA, SLU if you are using your personal data. To request their rectification , if they were not correct, or to exercise the right to oblivion with respect to them. To oppose your treatment: MB BENALMADENA, SLU will allow you to process the data in the manner you indicate, except for legitimate reasons or for the exercise or defense of possible claims, these should continue to be treated. To the portability of the data: in case you want your data to be processed by another firm, MB BENALMADENA, SLU , will facilitate the portability of your data to the new manager. We may need to request l and specific information to help confirm identity and ensure s u s u s right to access personal data us (or exercise any of the rights mentioned above). This is a security measure to ensure that personal information is not disclosed to any person who does not have the right to receive it. All the requests are solved within the legal period indicated 1 month. However, it may take more than a month or if s request is particularly complex, or has already made a series of actions previously. In this case, l l e notifies oars and keep you updated. - Service providers that provide systems management and information technology services. We have implemented procedures to deal with any suspicion of violation of your personal data and will notify you and the Control Authority in case it occurs, as is regulated in the RGPD in its articles 33 and 34, a security breach.